‘La Montagne des Singes’ is home to over 200 Barbary macaques. this incredible monkey society living just as they would in the wild. 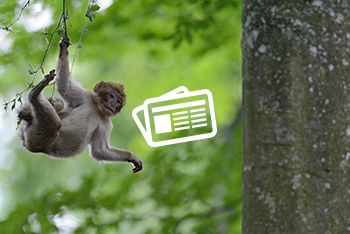 Learn all about the monkeys’ social behaviours as you walk amongst them!. roaming free in this 60 acre woodland. They are fed a well balanced diet and are safe from predators. living just as they would in the wild. Scientists estimate there are currently less than 8’000 individuals surviving in the wild. Consequently the populations in our parks represent a precious gene pool for this endangered species. 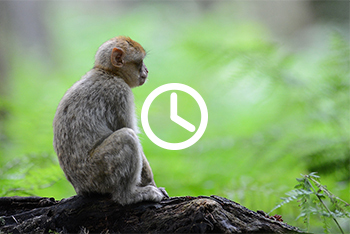 Since 1972 scientists have been conducting studies in the park, focusing on the social behaviour of the Barbary macaques. The guides along the path will be happy to share the knowledge we have acquired through our research. Apart from the beauty of the site, what’s immediately striking is the monkeys’ wellbeing. 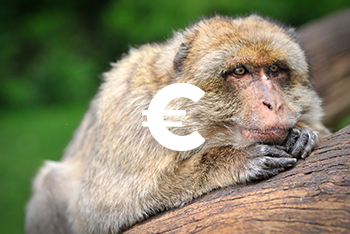 At ‘la Montagne des singes’ Barbary macaques reign supreme. They are fed a rich and balanced diet, and are not confronted with predation, they have large areas to roam free and in peace.